For a pdf version, click here, to see article as published, click here. 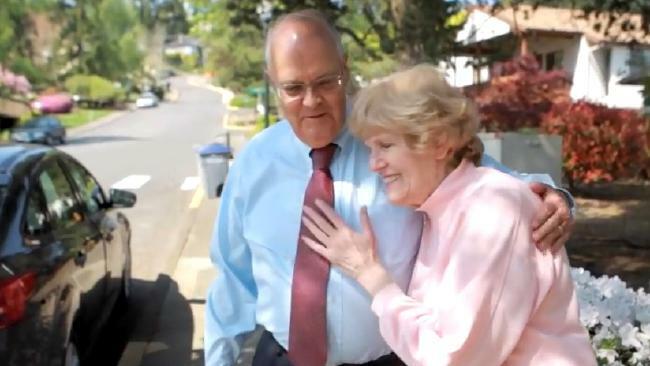 When American doctor Kenneth Stevens heard about Victoria’s plan to introduce assisted dying for the terminally ill he couldn’t help but recall the story of his ­patient Jeanette Hall. Hall, then 55, came to Stevens in 2000 after being diagnosed with inoperable colon cancer in Portland, Oregon, a state that in 1997 introduced laws enabling doctors to prescribe fatal pills to the terminally ill.
She walked into Stevens’ office and told him she wanted to die, but Stevens, a cancer specialist, disputed the diagnosis of her original doctor. “I told her that I believed this was potentially curable but she said ‘Dr Stevens, you don’t understand, I voted for the law and I don’t want to go through all the treatment, I don’t want to lose my hair, I don’t want to go through all that’,’’ Stevens says. The specialist delayed her ­request to write a prescription for the fatal drugs and instead tried to talk her out of it. “I learned she had a son who is in the police academy and I said, ‘wouldn’t you like to see him graduate, wouldn’t you like to see him get married’ and eventually she realised she really did have something to live for,” Stevens says. Hall, a bookkeeper and a single mother, agreed to have radiotherapy and chemotherapy. Within months, Stevens says her tumour “just melted away”. “She’s still alive 17 years later with no evidence of any recurrence of the cancer and one of her favourite phrases is ‘it’s great to be alive’,” he says. Hall’s unusual story turned Stevens from being merely an ­opponent of assisted suicide into an activist against it. A professor emeritus and a former chair of the Department of Radiation Oncology at the ­Oregon Health & Sciences University in Portland, Stevens has treated thousands of patients with cancer. He says he came to oppose ­assisted suicide from his observations as a doctor, rather than from any religious standpoint. “Actually, my first wife died 35 years ago of cancer so I’ve seen it not only from the professional side but also from the family side,” he says. Hall, now 72, no longer wants to speak to the media about her story because of the attention it has garnered after it was co-opted by campaigners against assisted suicide. But several years ago she wrote of her experience. “I did not want to suffer,” she wrote. “I wanted to do our law and I wanted Dr ­Stevens to help me. Instead, he ­encouraged me to not give up and ultimately I decided to fight the cancer. I had both chemotherapy and radiation. I am so happy to be alive. When Stevens read about Victoria’s proposed assisted suicide laws he wrote to The Australian in a letter published this week. Victorian politicians say they have closely followed the Oregon model for the state’s voluntary ­assisted dying scheme, which will go before the upper house for a final vote next week. The scheme’s authors say they were drawn to the Oregon model because after 20 years it was still regarded internationally as one of the most conservative schemes.